A group of young women athletes who just spent five days on campus at Westminster are keeping Westminster Head Wrestling Coach Mike Eierman busy these days responding to emails and Facebook messages as to how they can get more information about attending Westminster. 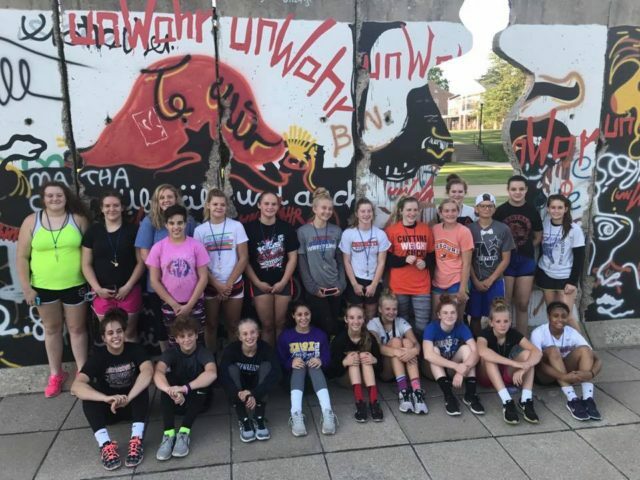 From July 11-17 the Missouri Women’s High School National Wrestling Team was on campus for a National Team Camp. 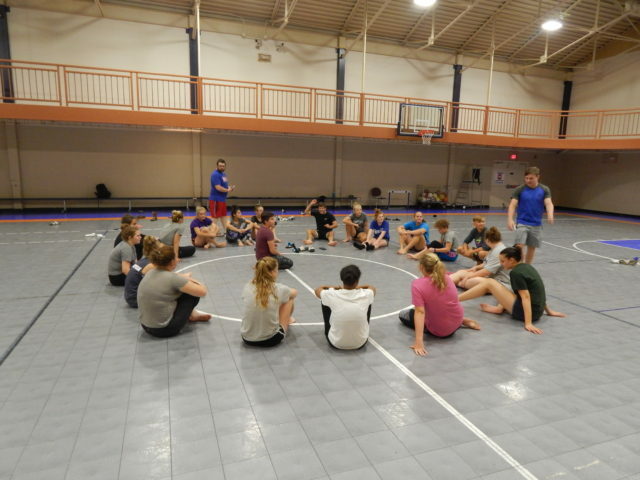 They trained with Westminster wrestling coaches Mike and Tony Eierman at the Eierman Elite Wrestling team facility in nearby Millersburg, toured campus buildings and classrooms, visited the National Churchill Museum, and were housed in The Churchill Quadrangle. Team members were so highly impressed with Westminster’s new wrestling program, rich history, beautiful and accessible campus, and warm hospitality that Coach Eierman has been flooded with communications about enrollment at Westminster and a camp next summer on campus. Coach Eierman singled out Diane Hammerstone, Coordinator of Events, Scheduling, Camps and Conferences, and Fresh Ideas, the campus food service, for praise as a result of the personal attention and care they provided for the campers. Following their camp at Westminster, the Missouri women’s team competed in the 2017 Wrestling Cadet Women’s Freestyle National Championships July 17-18, held in Fargo, North Dakota. The Missouri team took 4th place in the competition.